The 8th annual scooter rally returns, combining music and cuisine with fantastic scooter-riding scenery. 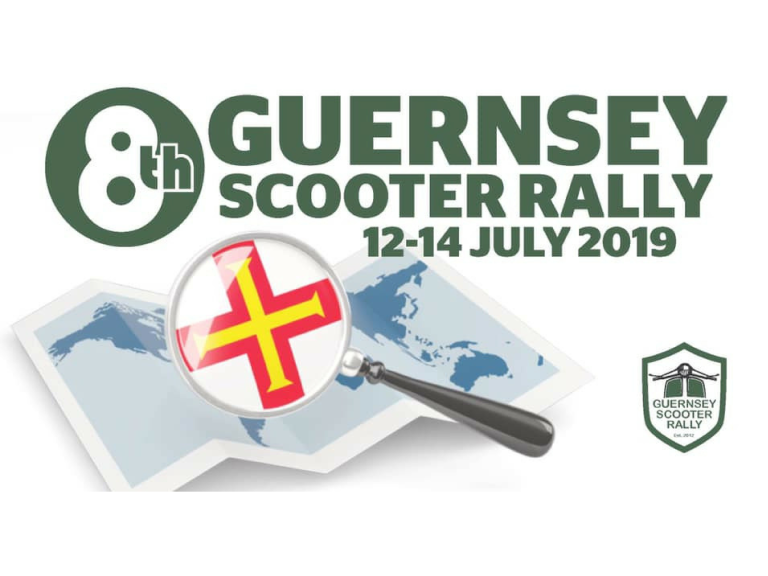 The Guernsey Scooter Rally will take place from Friday 12th July 2019 until Sunday 14th July 2019. The ferry discount code is only available for bookings up to 31 January 2019, bookings can be made after this date but will not receive the 15% off the booking. The code is GUSCORA19. You will be asked to enter this during the booking process on the Condor Ferries website. The links to Guernsey from the UK are Poole (fast ferry) and Portsmouth (slow ferry). There are limited spaces available on the Poole ferry and it is the most convenient crossing and timings, so please book this early. Other links are from Jersey and St Malo in France. All of the events will be based in the St Peter Peter Port area but if you have been before you will know that nothing is far away and our bus service is frequent and only a pound for the trip. There is plenty of accommodation around the Island to suit any budget. Your best bet is to go to the Visit Guernsey website and have a look. There are a few campsites outside St Peter Port, Fauxquets Valley is around 4km from town. The accommodation booking websites are very good and if you want some help with finding a particular sort of accommodation then please post on here and one of the committee members will try and help you. We can confirm that we have two floors of DJ's playing on the Friday night at the Thomas De La Rue pub in St Peter Port. The Guernsey Soul Collective will play on one floor with the other floor offering a mixture of music to suit all tastes. After the ride out on Saturday, we will be heading off to the Island of Herm, which is a short 20-minute boat trip away. Local Ska band, Sons of the Desert will be entertaining us there and we are looking forward to doing something completely different in our version of the "Night Boat to Herm". The weekend rally ticket will again be £30.00 and will include the Friday night, your boat trip to Herm, entrance to the SOTD event, your food and the all important rally bag & patch. The weekend ticket needs to paid in advance, the boat to Herm only has a limited amount of return spaces so pre-booking is absolutely essential so that we can reserve them. Please email shambrook100@gmail.com to say that you have paid, for how many people, what club (if applicable), where you are staying, the dates you arrive/go back, which port you are coming from and the trip organisers main contact details. We will contact you to confirm receipt of payment. So if you are after something different this is the rally for you, we have "repeat offenders" who come back every year and they do that for a reason! What's not to like about 27 beaches, miles of winding lanes to explore and hundreds of bars and restaurants?